Prosthesis wearers know how important the good fit of their residual limb in the prosthetic socket is. The objective is to minimise forces acting in the socket, such as impact, rotation and tensile forces, in order to ensure the best possible wearer comfort. Good adhesion in the socket with the simultaneous reduction of fluctuations in the residual limb circumference is the primary objective. 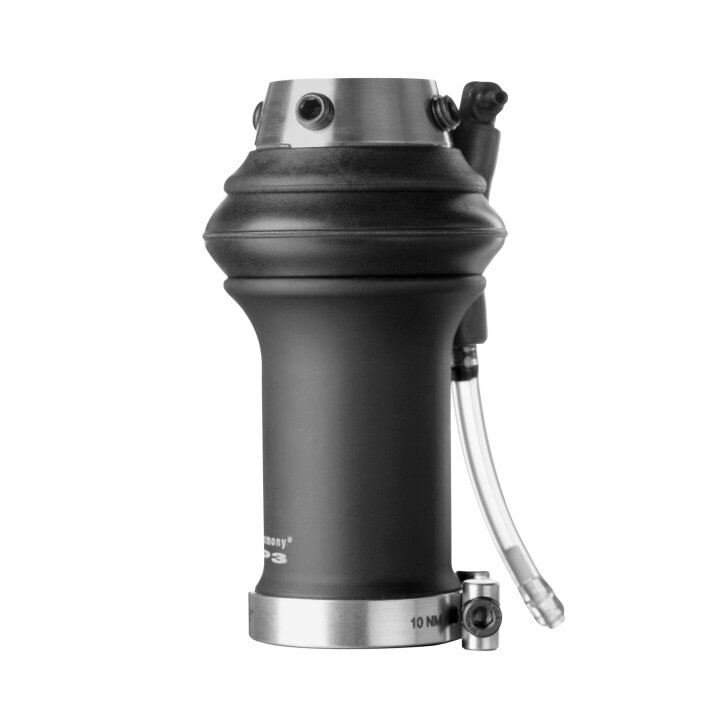 Our Harmony P3 vacuum system does both, regulating the best possible fit of the residual limb in the prosthetic socket with a weight-activated mechanical vacuum pump. Smaller and lighter than its predecessors, the Harmony P3 pump sets itself apart with a lightweight and slim design that is readily compatible with a visually appealing cosmetic cover and can be combined with various prosthetic feet. The mechanical Harmony pump is intended for users with a moderate to higher mobility grade. Your orthopaedics specialist will be happy to advise you regarding your personal requirements.